It's back to Data School week for DS2 and today we were running through the new features of Tableau 10. 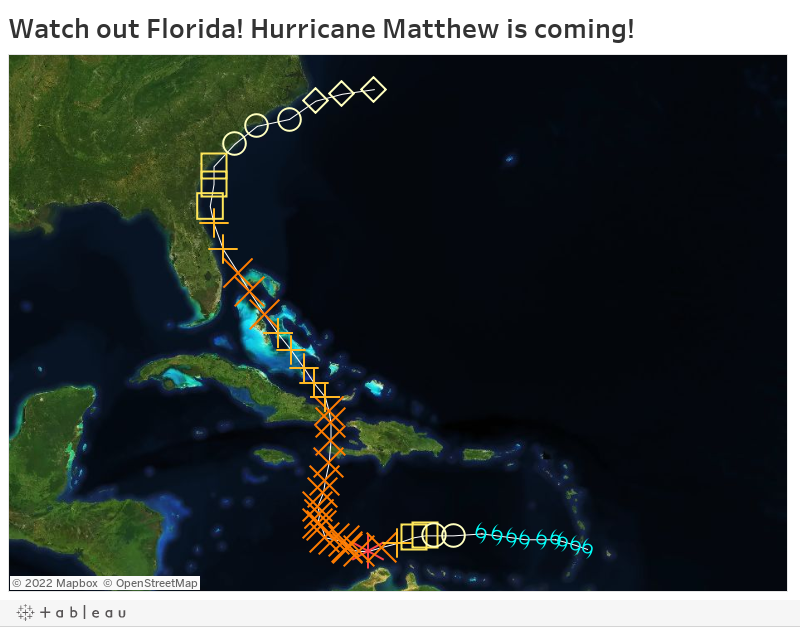 I was demonstrating the Google Sheets connector and given the terrible storm that is currently battering the Southeast US, we created a connection to the storm path data from Weather Underground and built this storm tracker. We then also looked at Device Designer, which means there a nice mobile version of the viz too. What's even better is that Tableau Public will refresh this data daily, so we can look back and see how the storm has progressed. Makeover Monday: How big is America's debt?